When the term “remastered” is slapped onto the cover of any reissue, these days it usually means that the volume has been turned up and the audio has been compressed beyond recognition. Whereas a remastered album used to be painstakingly crafted by audio experts in order to reduce the tape hiss and other imperfections present on early CD releases, it is now simply an excuse to open the listeners wallets another time while simultaneously degenerating the sonic integrity of the recording. Countless albums have been ruined over the last decade all in the name of making songs standout more when played on the radio or preparing them for the ultimate quality-related death a song can suffer – being converted to the mp3 format. It’s a true shame for those that still appreciate sound, that understand that louder does not necessarily equal better. Thankfully, Neil Young has got the back of every single audiophile out there, a fact that is no more clearly illustrated than by listening to the first four entries in his “Neil Young Archives: ORS” series: Neil Young, Everybody Knows This Is Nowhere, After the Goldrush and Harvest. The first four albums from his vast catalog of music, these reissues not only remain classics of songwriting and performance but show that with the right attention to detail and a methodical devotion to the intricate properties of sound, a remaster can still be done right. Each reissue is a aural masterpiece, painstakingly prepared for the digital age by a group of people (including Neil Young himself) dedicated to keeping the original sound intact. These four remasters are the first successful strike back against the homogenization of music that is the bulk of the digital download age and the first real win for the good guys in The Loudness War. While each of the four albums included in this first round of reissues benefit greatly from the remastering process, 1972’s Harvest is clearly the biggest success. So many elements emerge from the mix when presented here (save for the still near-inaudible pedal steel on the fiery guitar classic “Alabama”) that it is almost a completely new listening experience. This is as close to the original vinyl sound that a CD issue of the album has ever seen and makes it the definitive digital version available. For those unable to afford the time and expense of a decent turntable setup, this is undoubtedly great news. The real beauty of each of these reissues is that while they are cleaned up and revitalized, they have not been sterilized one iota. While some remastering engineers do everything possible to make an older album sound like it was recorded using present-day studio technology (and remove the heart and soul of the recording in the process), Neil Young and Co. understand the time and place these records were recorded in and use those factors as assets rather than setbacks. The tape hiss that is an inevitable part of every 1960’s – 1970’s analog recording is still present here, with the remastering work bringing previously-muted elements through it rather than over it. These albums still feel live and in-the-moment, but also have an added crispness and vitality that was lacking on their original CD releases. Whether it’s the softer glory of Young’s 1968 self-titled debut, the epic guitar athems of his 1969 sophomore effort Everybody Knows This Is Nowhere or the back-to-back classics After the Gold Rush and Harvest, one thing remains abundantly clear: Neil Young is one of rock music’s greatest performers and most prolific songwriters. 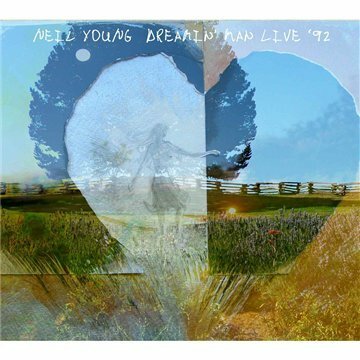 It’s nice to know that with these Neil Young Archives: ORS reissues, some of the best titles in his massive body of work are being preserved in a manner that is befitting of their stature. One can only hope that more of the same treatment is on the way for the rest of his catalog. And that Time Fades Away will finally find its way into the digital age. To purchase a copy of Archives, Vol. 1, please click here.